I had the privilege to celebrate as the officiant at Alison and Justin's wedding in Columbus, Ohio. We were at Heritage Golf Club in Hilliard and looking at the picture below you can feel the love and tenderness this couple shares. Alison and Justin enjoy a tender moment at Heritage Golf Club wedding venue in Hilliard, OhioThis venue is a fantastic place to have a wedding. The atmosphere is light and the food is amazing. 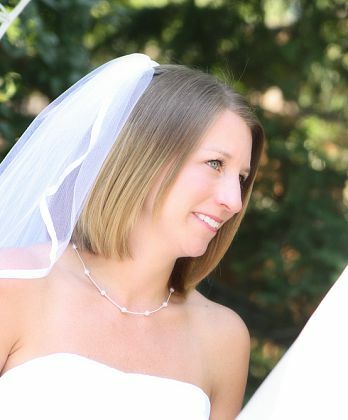 The Sales and Catering Manager, Jody Unger, does a fabulous job and she truly cares. 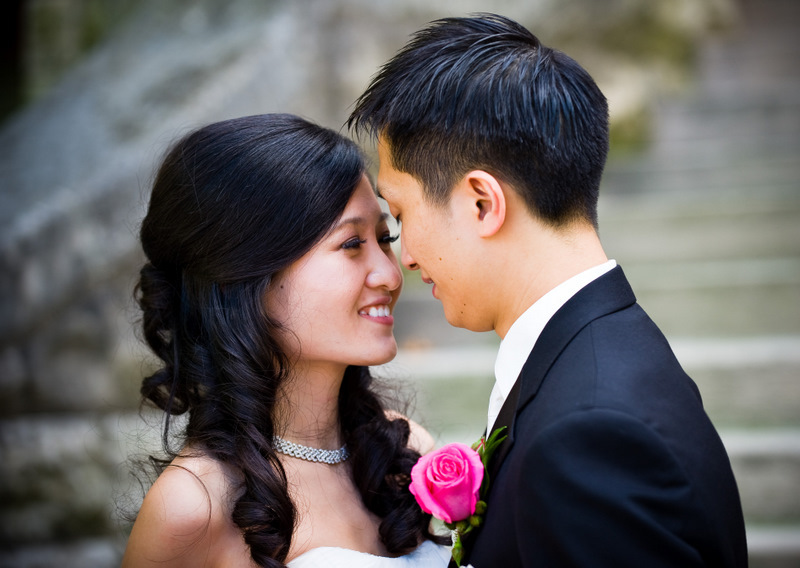 She is very sensitive to each couples needs and works tirelessly to see that each wedding is a unique and memorable experience. In the photograph below, We are just having a little fun during the ceremony. I forget exactly what was said but the bride and groom were enjoying each moment. 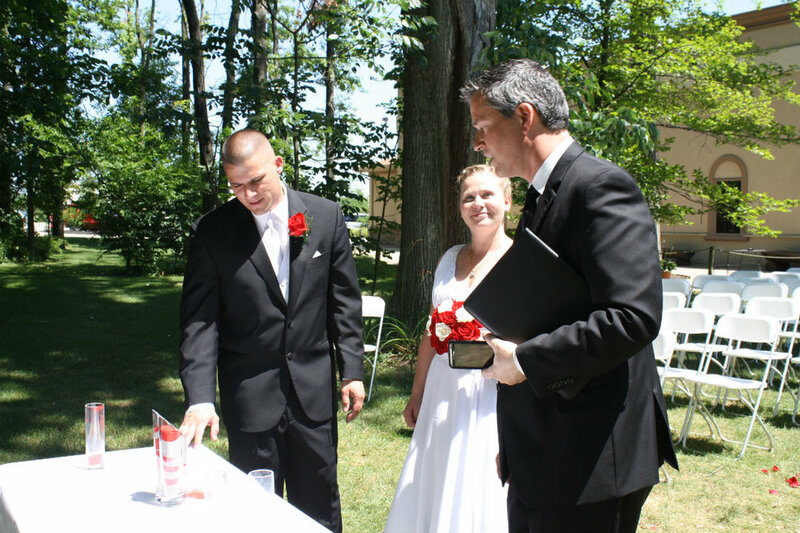 Wedding officiant, Damian King, laughs with Alison and Justin in Columbus, OhioJustin reads personal vows he prepared. 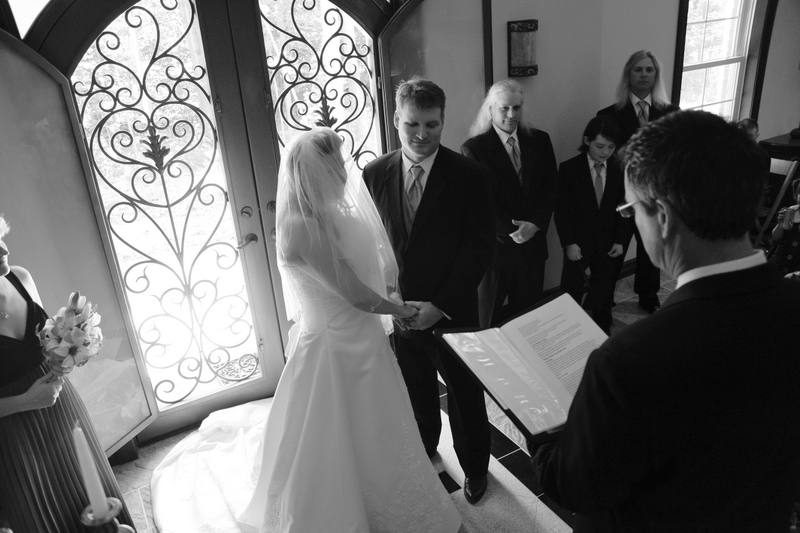 The groom reads personal vows to his bride. A very touching moment. For a moment the emotions he feels breaks through and we are all touched. The groom expresses some emotion for the bride he loves.Here is a shot of me receiving their rings. Damian King receives the wedding rings at Heritage Golf Club in Columbus, Ohio. Now Alison reads her incredible personal vows for Justin. It was very hot that day, but the joy of these moments overshadowed the summer heat. Bride's turn. Alison reads personal vows to her groom, Justin.Alison receives Justin's ring while I hold the personal vows she just read to her groom. Amazing. Alison receives Justin's wedding ring as Damian holds her personal vows. I had the honor of reading some things about this loving couple. Part of their ceremony went like this. From Alison, "On Saturday, June 19, while in Wisconsin and on the way to a going away party for him, we passed by the kickball field that held so much meaning for us. Justin suggested we go look around one last time. Alison places Justin's wedding ring on his finger at Heritage Golf Club. "As we got out of the car and started walking around Justin began reminiscing about the first time he saw me, the first time he talked to me, and the first time he thought I might be a 'cool girl'. Then he said we had so many good memories on the kickball field, why not have one more. Then he got down on one knee and proposed. Of course I said 'yes' and here we are, getting married! Alison and Justin prepare for their sand ceremony at their wedding in Columbus, Ohio. "Justin’s sweet and gentle nature keeps me sane when things get crazy. We fit together perfectly. Because He lets me do things that are unique to my life and my personality, I feel even more love for Justin. When we are together, we are completely together and pay attention to each other. Justin always listens to me and more importantly actually remembers what I say, sometimes even better than I do! By listening and paying attention I can tell that he really does love and care for me. I have a hectic life and I am very busy but Justin has such a calm demeanor that spending time with him is an instant stress reliever. I also know that I can count on Justin for anything. I feel we are true partners. I think it helps that both sets of our parents have been married for so long that we have great examples of what it takes to be in a good marriage. Being with Justin makes life easier. I never realized how much I was missing until I met Justin. Now I can’t imagine my life without him." 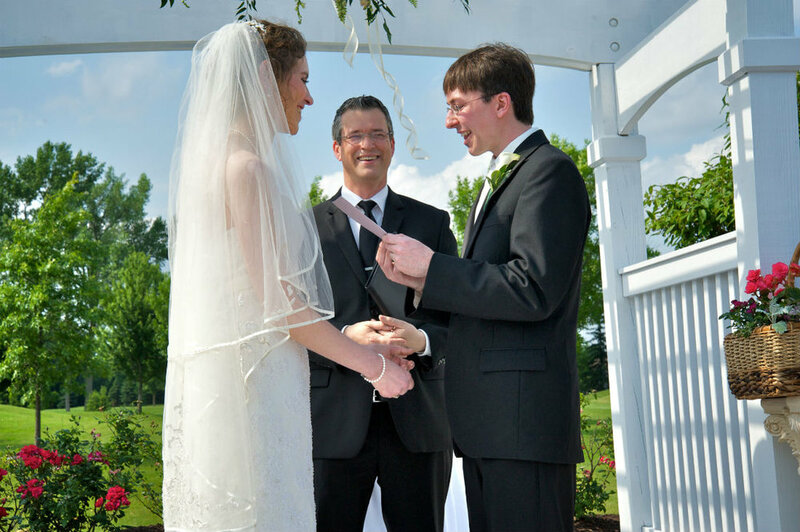 Wedding officiant, Damian King, presents the happy newlyweds in Columbus, Ohio.Now from Justin. Be prepared to smile and laugh. "Alison was my first girlfriend. All those little cues and lessons you pick up in a relationship I didn't have when we first met. I didn't know how long to wait to ask a girl out. When you got their phone number how long till you call, television shows told me if you call too soon she'll think you’re desperate. Most importantly, I was brand new at picking up and giving out the signs for when you want to kiss someone for the first time. My first plan went like this... Happy couple and happy bridesmaids! Alison and Justin, now married! "We were hiking in a state park. I knew there was a great view at the top. I imagined us looking out at the view and then sharing our first kiss. It would be magical. We reached the top of the trail and I sat down looking out - Step one for my big chance. However, although I was sitting she did not sit down and instead continuing right past me on the trail! I was kicking myself that night." "My life has been forever changed by you, my love. I see my future in your eyes. ""It was the next time… we went out to a movie. Afterwards we headed back to her place and talked on the couch. The whole time in my head I was saying to myself 'KISS HER', but I was too afraid. It got late and it was time for me to leave. She opened the door and I started to leave. There I am … in the doorway. If I continue leaving maybe it will never happens for us. Instead I turn around and tell her 'There's just one more thing.' Perhaps she could read my eyes saying 'I really want to kiss you, but don't know how.' She reached out, grabbed my shirt, pulled me to her, and planted one on me. Needless to say when I left, I was on cloud nine. The more and more time I spent with her the more I realized how much we had in common. She liked BattleStar Galactica, I like BattleStar Galactica. She loved board games, I love board games. She liked chicken …. well, it’s a good thing because she is going eat a lot of chicken if we're going out together. (Justin loves chicken). When she moved to St. Louis… I remember fighting back tears the whole ride back to Madison. I remember how much I hated that six hour drive, but how much I loved seeing her when I got there. I don't know for sure when I knew we'd be in it for the long haul. What I do know is that in that doorway she didn't grab my shirt, she grabbed my heart, and I'm still on cloud nine." "I know you'll never leave my side. I enjoy every moment with you. "All photographs were provided by Aperture Photography, and the work of Hristina Panovska and Paul Rentler. Please visit their website by selecting the link provided. 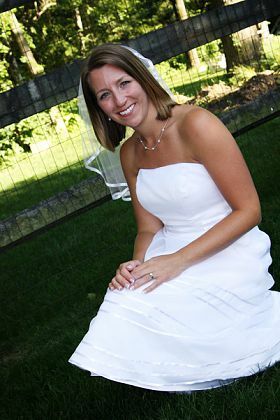 You can also call Aperture at 614-432-2980 and the email address is info@aperture-photos.com. Live music was provided by the talented Supertonic String Quartet. 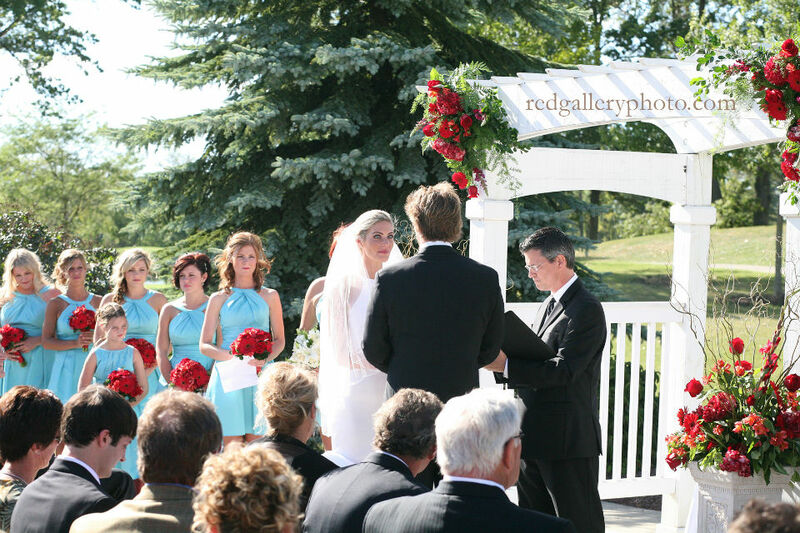 Heritage Golf Club is a member of Wedding Professionals of Columbus. 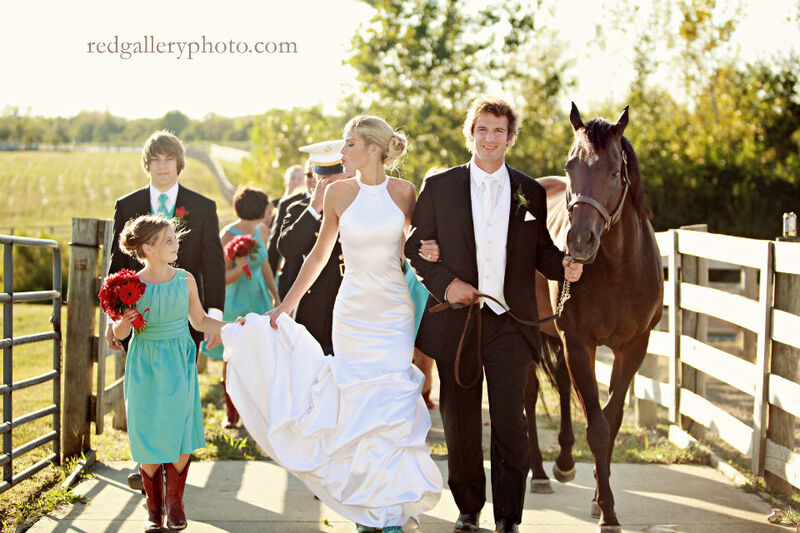 You can reads more about them at WeddingWire and the knot. Alison and Justin, being a part of your celebration was such a wonderful experience. 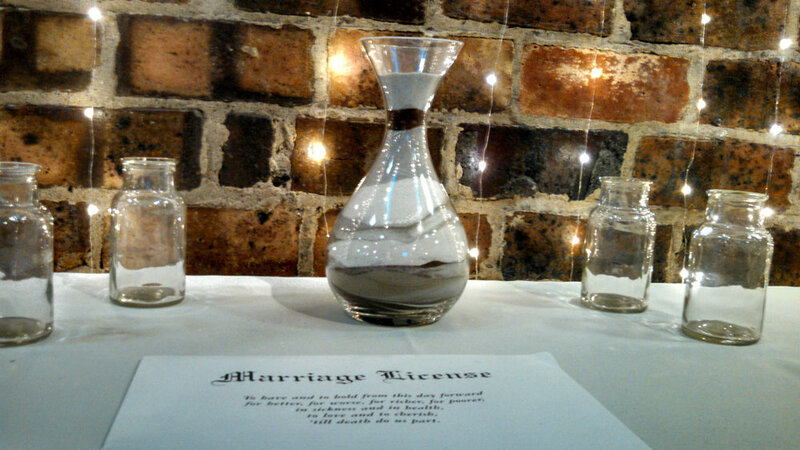 Thanks for the honor of serving as your wedding officiant the day you were married in Columbus, Ohio! "As we reflect on the journey traveled thus far by Lei and Jeff, it is truly a beautiful story. 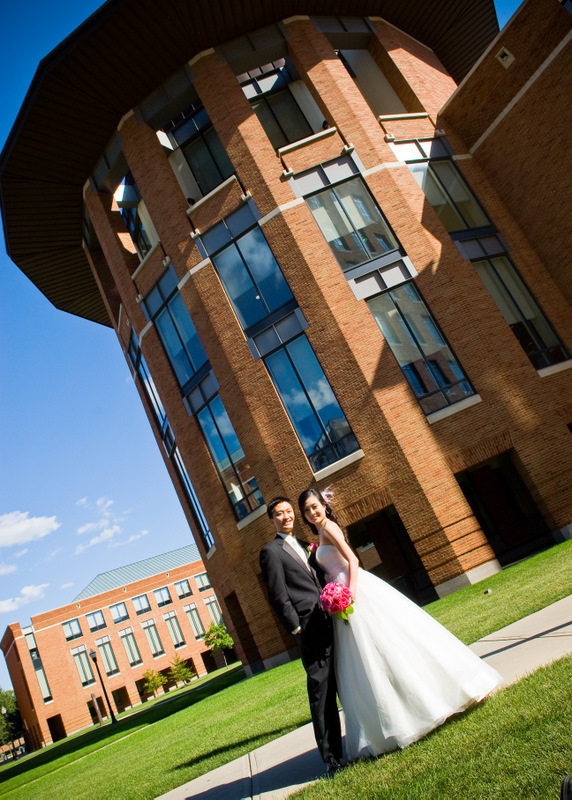 Even though Lei and Jeff were both born and raised from a country halfway around the world, they met and fell in love here at OSU. It was by the steps of Fisher that they made a promise, a promise to journey together, to walk side by side in both joyful and challenging times. We are together here today at this symbolic location, to witness the marriage of Lei and Jeff, as they take another significant step together on their journey through life." Below they share in their sand ceremony which reflects the joining of their lives as one. A man and woman, now husband and wife. The most incredible union known on earth. Below is a moment of joyous celebration! 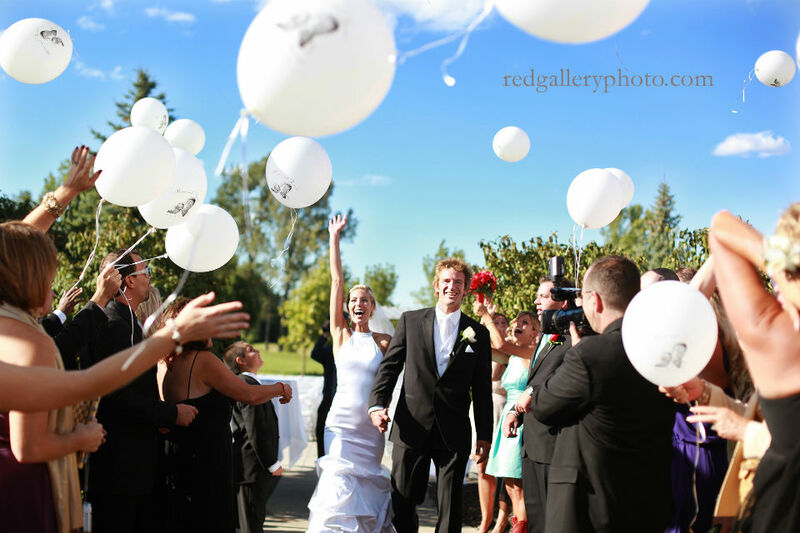 Weddings should be joyful, fun, happy and personal; something that the bride and groom will remember for a lifetime. A final shot filled with flair! Lei & Jeff are not only very much in love with each other, they also are very sweet people who love life and try to enjoy the good things found along the way. They are happy to be taking this journey together! I wish you, Lei & Jeff all the Best that this life has to offer. May your years be rich and blessed. All their photographs were by the same photographer listed in an earlier bog entry. They have asked not to be credited due to moving out of the wedding industry. I really wish I could credit them, because they do marvelous work. My deepest thanks for the use of your photos. The other vendors who served Lei & Jeff were of course, The Blackwell. Call and talk to Blaire Blechinger (614) 247-4006 who will give you amazing service. Nathan Nazack of Prodigy Video (614) 321-9350 was their wonderful videographer. Their live music was performed by Fiddles and Faces. Thanks for reading my blog. Have a great day! Franklin Park Conservatory Wedding - Damian King and RickHaving a wedding at Franklin Park Conservatory in Columbus, Ohio is always such a great experience. After Pam and Rick asked me to be their wedding officiant I had the pleasure of celebrating their union in the Palm House. 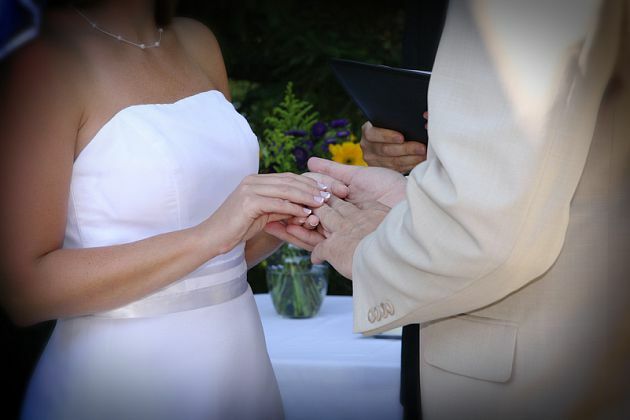 The Palm House may be hot, but it is still a cool place to tie the knot! I apologize for the lame humor, but I couldn't resist. Besides, Pam and Rick were a lot of fun to celebrate with! 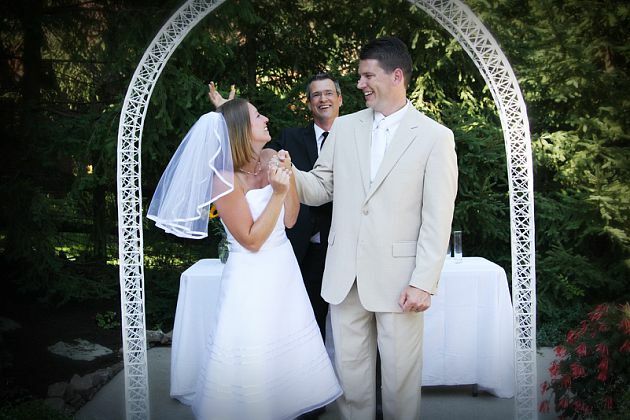 There were many smiles, some jokes, and a great deal of fun and joy as this couple became husband and wife. In this picture to the left, Rick and I are waiting peacefully for Pam who can be seen in the foreground during her bridal walk. Their ceremony is now underway as I adjust my glasses. Something funny is now said. I can't remember if it was me, Pam or Rick who said it, but we were all enjoying the moment. Franklin Park Conservatory Wedding - Damian King with Pam and Rick 2Pam and Rick exchange vows. Let's be sure the ring is secure. Franklin Park Conservatory Wedding - Damian King with Pam and Rick 3Sweet feelings arise. I just love their expressions. 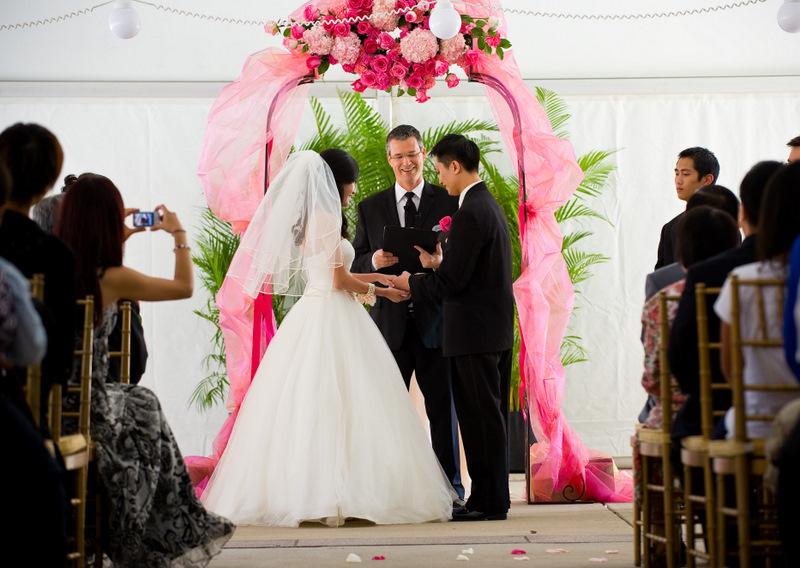 Franklin Park Conservatory Wedding - Damian King, OfficiantNow, their sand ceremony with their children's involvement. How cool is that? Pam and Rick are excited to be husband and wife! Come here my love, let's kiss! Tearful joy and sheer contentment! Pam and Rick, thanks for asking me to be a part of this awesome day! May you enjoy all your days together and may they be filled with much love, joy, and zest for life! All photographs in this entry are courtesy of Open Prism Photography and the artistic work of Rebekah King. Rebekah can be contacted by calling 614-653-9082. You can also visit her website by following the link provided. Violinist, Connie Anderson, filled the air with beautiful music. Connie can be reached by calling 614-746-0393. Her email is CAnderson43212@aol.com. 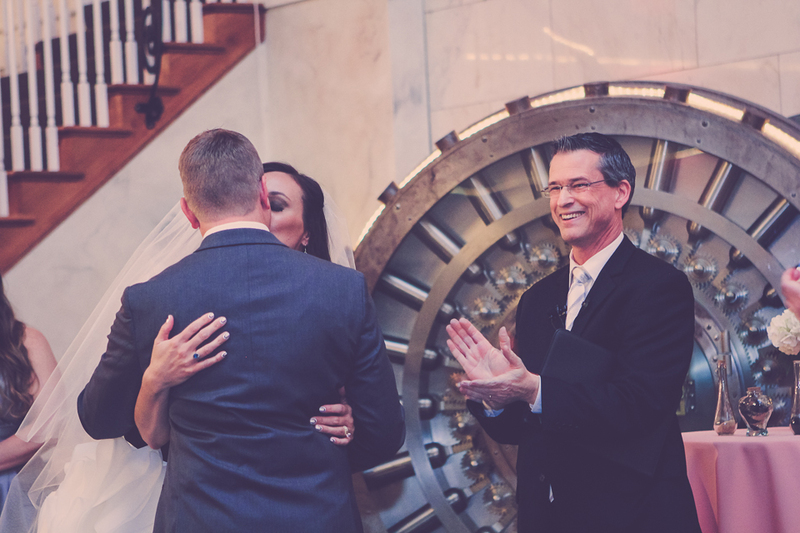 Being a wedding officiant in Columbus, Ohio allows me to experience many "special" ceremonies that couples, and sometimes families, include. For Pam & Rick the sand flows at Franklin Park Conservatory in a symphony of colors as this blended family combines their sand into one vase. As their wedding minister I had fun officiating this part of their ceremony. Here the height of the sand is at the inscribed letters. Now the sand moves above the letters. A few final grains poured by one serious participant. If you look closely you can actually see the last bit of sand between vases. Now the finished product! Doesn't it look great? 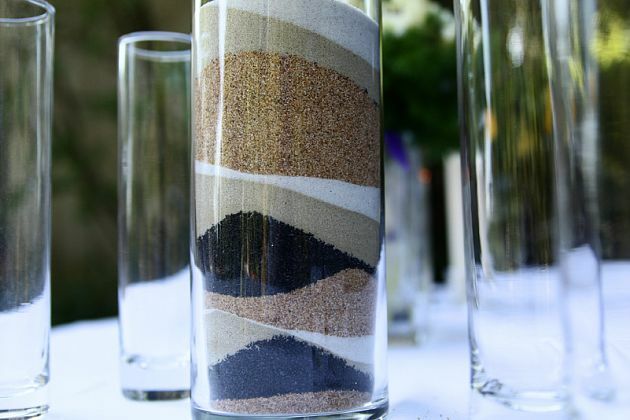 Maybe you are wondering where to obtain various colors of sand if you were to use this ceremony for your wedding. 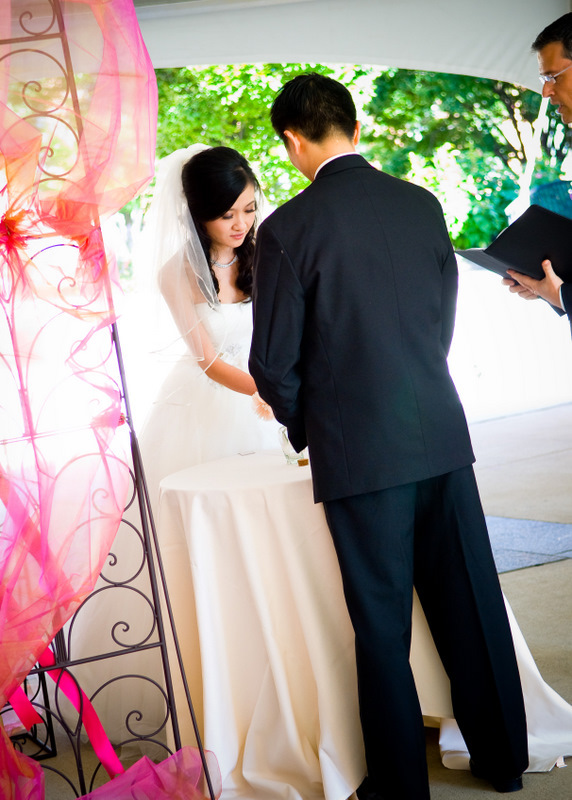 You can conduct a Google search for sand ceremony kits and you will find companies like Sandsational Sparkle that sell many colors and styles. Enjoy! All images in this entry are courtesy of Open Prism Photography and photographer, Rebekah King. You can call Rebekah at 614-653-9082. I really enjoyed being with this great couple from West Virginia as they came to Ohio to celebrate their wedding with family. I love being the wedding officiant at residential celebrations when the bride and groom have so much feeling for each other. This couple does. Here are some photos of their sand ceremony where their two girls had a chance to participate. I am going to let these remaining photos speak for themselves. Isn't this so touching as they dance and embrace by the pool? 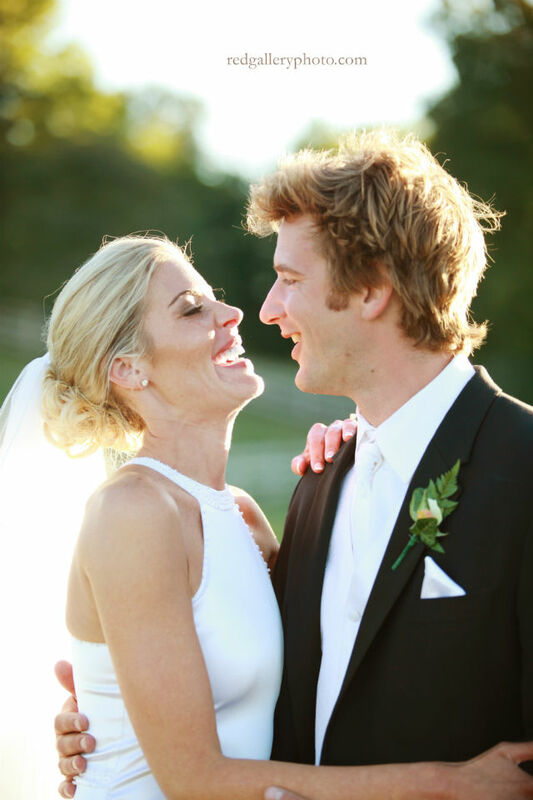 Wishing you many great years ahead Erin and Mark! All photographs in this entry are courtesy of Victoria Serruto of VS3 Studios. Click on the link provided to visit her website. You can call her directly at 937-760-8737. 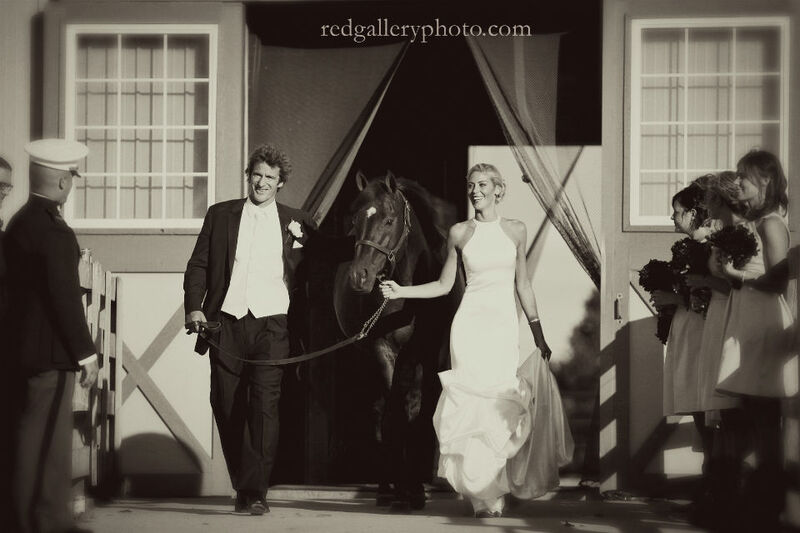 Wendy & Robb - Wow! Wow! What a wonderful experience. We all had so much fun and loved every minute of it. Also thank you for your kind words. We did go last Friday and pick up our certificate from the courts and everything is running smoothly. 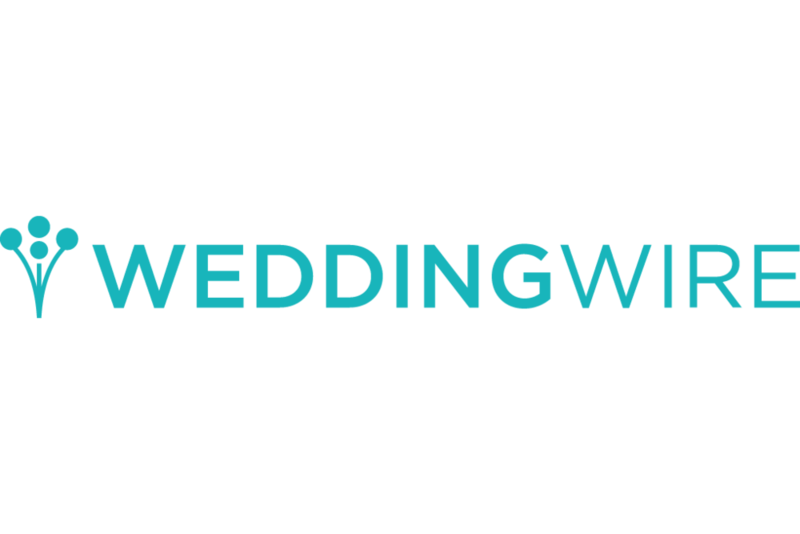 I will definitely recommend you to anyone that I come across that is planning a wedding. I thought you were wonderful and everyone else thought so as well. Thanks again and have a wonderful day!" 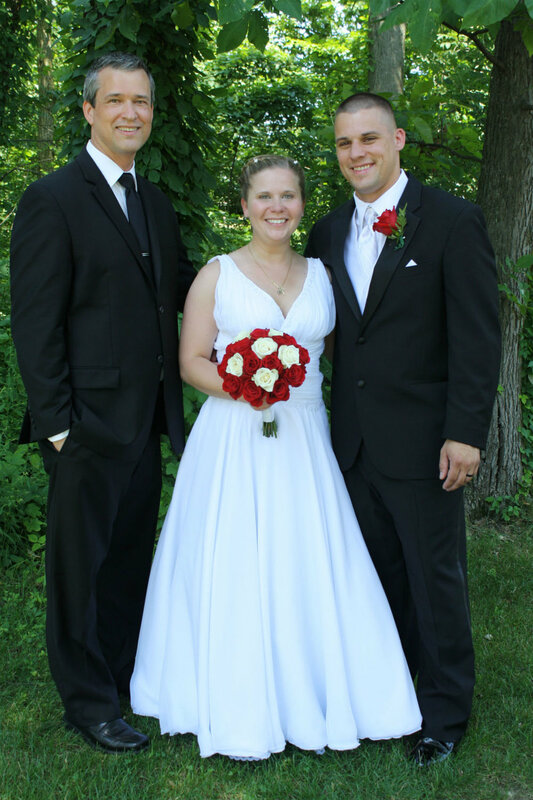 I celebrated with them as their wedding officiant. These photos were taken by a friend of Wendy & Robb as they were married at the Chapel at Historic Village in Hilliard, Ohio. Joy and excitement fill the air! The lovely bride makes her walk. 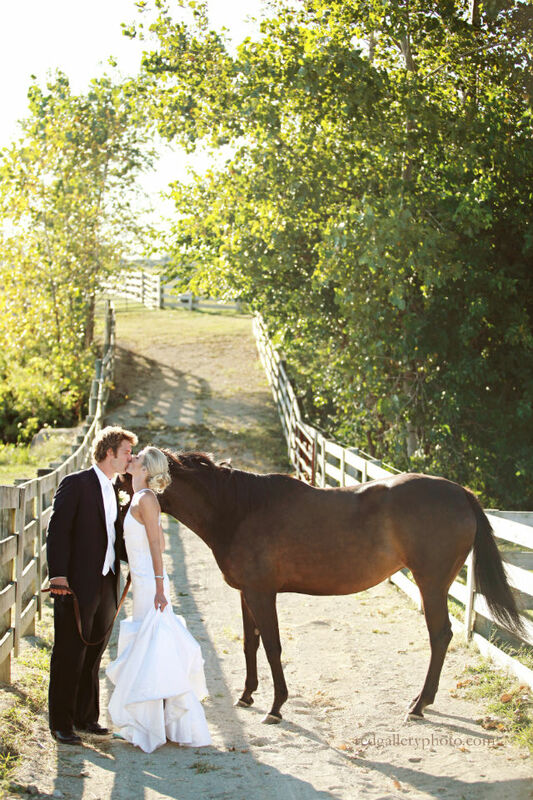 Just by the expression on her face you can sense the depth of feeling she has for her groom. It was a real pleasure being the wedding officiant for Lisa & Bill. This is the moment she has been waiting for, and now it's here. Being of part of this experience brings joy to me, and so often I feel so honored. 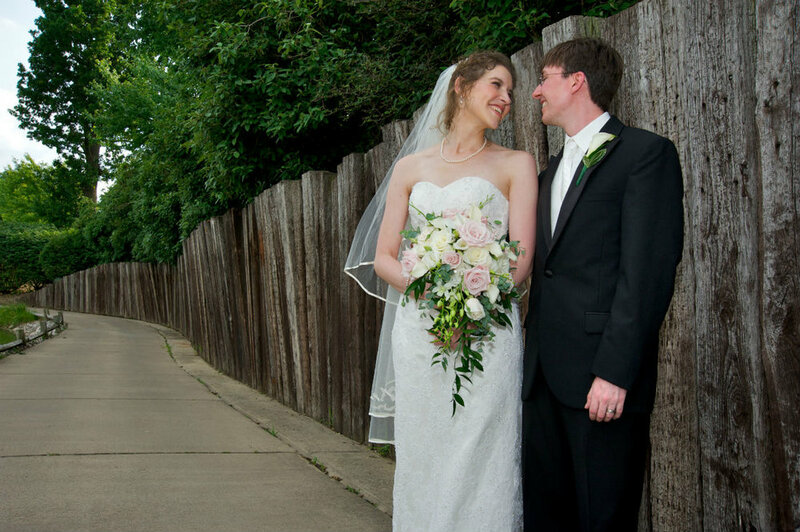 From the steps of the rich staircase at Whispering Winds Manor in Crestline , Ohio, I solemnize their marriage with joy and a sense of wonder. This day is like no other for them, and therefore like no other for me. Each wedding is different and unique, almost like a fingerprint. Here they enjoy their sand cermony. If you look through the empty vase you can see the tasteful blend of red and white sand, layering inside their center vase, the vase they will keep in their home to remember that they are no longer two, but one in marriage. Michelle and Bryan celebrate their marriage with the Sand Ceremony, as I read selected wording as their wedding officiant. Their unique containers hold the sand that represents who they are as individuals. They combine the two colors in the center vase to represent their existence in marriage, no longer two but one new reality, husband and wife. It was very touching and meaningful. Here Michelle and Dad are drawn to the stirrings of her wedding. It's almost time for Michelle to walk the aisle and be presented by her father. Here was a fun spot in their ceremony. Father to daughter. Daughter to father. A priceless moment. I love the expression on Michelle and Bryan's faces here. Celebrating the mystery of becoming husband and wife. Now they walk into their future together. May their days as one always be blessed! Outdoor weddings can be such a beautiful experience. I met with Jody Meyer, Sales and Catering Director, the other day at Heritage Golf Club in Hilliard. We went outside to see the layout for ceremonies and do some planning. The day was splendid...virtually cloudless and therefore, a lot of sun. That is why our eyes are squinting! 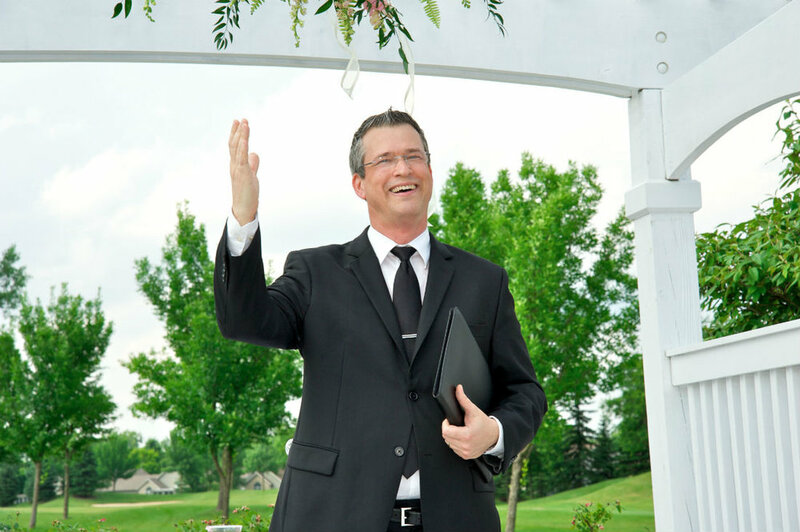 I will be officiating for several weddings at Heritage this year and have already completed one, which went very well. 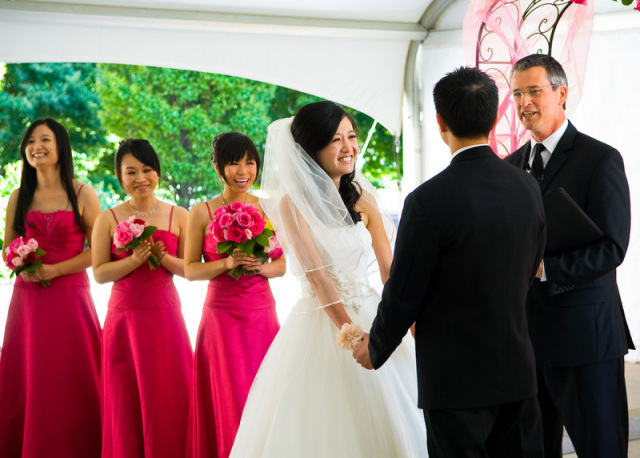 There can be a great deal that goes into a successful outdoor ceremony, coordination among all parties involved as well as weather considerations can make it a challenge. Jody does a fantastic job and has a friendly demeanor that enhances her professionalism and extraordinary attention to details. In this photo you can see some of the natural beauty at Heritage behind Jody and me. I can't remember exactly what we were discussing here. I was joking with my photographer, Rebekah, posing the idea that I had discovered a wedding ring under my feet from a previous ceremony! 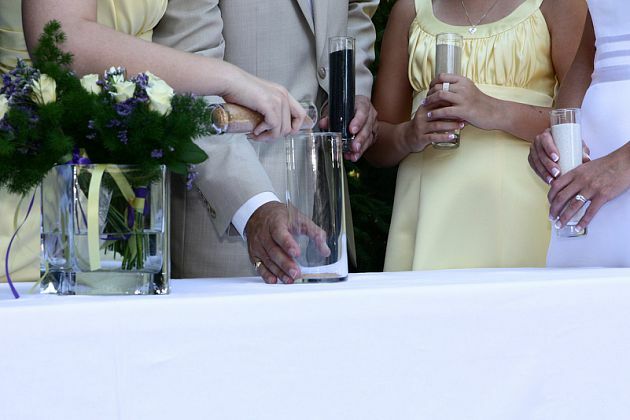 I use a simple technique in my ceremonies to keep the rings from being accidentally dropped. 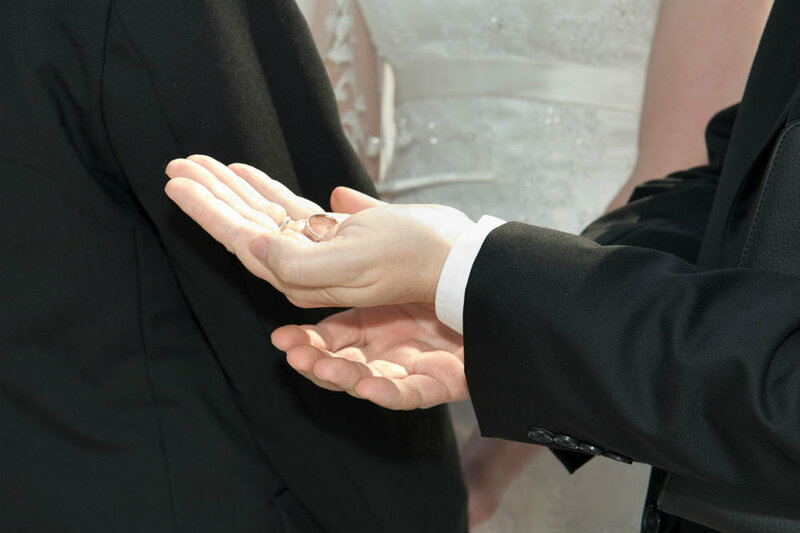 By placing your left hand on top of your right and cupping it, the ring can be placed safely in the palm of your hand where you can easily grasp it with the fingers of your right hand, to then be place upon the ring finger of your bride or groom. If you are left handed, reverse the order and place your right hand on top of your left. Michelle Garber is the receptionist at Heritage. She took a few minutes out of her busy day to visit. I will be officiating her ceremony later this month and I expect it to be a very beautiful wedding. Again, you can see some of the beauty of Heritage, and it is even moreso now that some time has passed since this I was there. Michelle will be having an outdoor wedding. As part of her personalized ceremony we will be incorporating the sand ceremony. Some couples prefer the unity candle and also use the rose ceremony...yet using sand is becoming more and more popular. 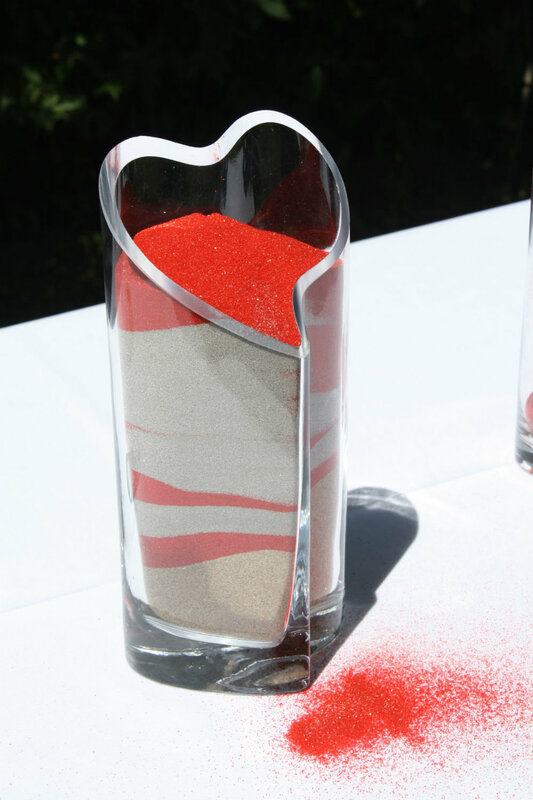 The bride and groom will each have sand of a different color. I like them to start with creating a layered effect (reflecting their individuality) and then blending into a new color to symbolize their union as one in marriage. Children can be part of the blending of the sands also, with their own unique color. 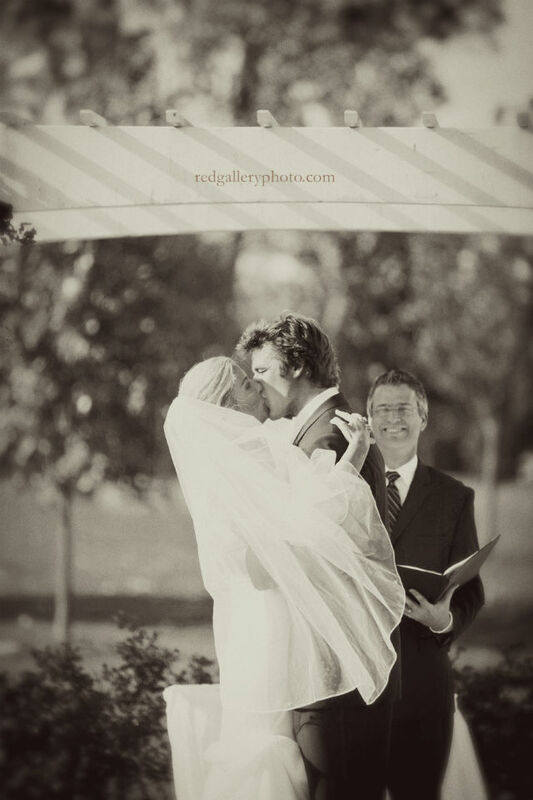 This can be a very nice way to make them feel included in the wedding. It was a lot of fun visiting Heritage with Jody and Michelle. As you can see, the landscape is fabulous. 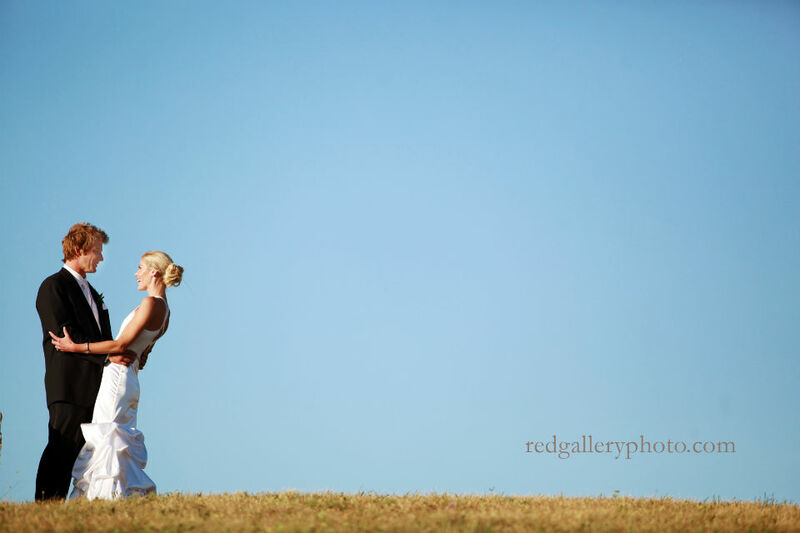 I recommend Heritage as a great place for weddings, events, and don't forget....golf too. You can contact Jody at 614-684-7112 or by email at jmeyer@heritage.com.